When Shivaprasad Krishnan returns from work to his apartment in JP Nagar III Phase at night, many times after 8 PM, traffic piles up on his residential street, 1st Main Road, he says, because of contract cabs and buses bringing and fetching Infoys BPO employees. As a result, driving the last stretch to his apartment’s entrance has become painful. Krishnan lives in the Casa Ansal apartment complex, and one of its two entrances is located on 1st Main Road just a little past the Infosys building. When Citizen Matters checked on the night of October 22nd, 10-15 Tata Sumos cabs came in around 9 PM to fetch employees and stood on the left side entrance of the Infosys building for 10 minutes. At 10.15 PM, a second set of around around 15 Tata Sumos came in. Meanwhile Infosys employee cars and two-wheelers are parked on the opposite side of the same road. Another resident of Casa Ansal, Deepa Mohan, confirmed that traffic problems exist at night. “I have complained several times in the past few years (to the Infosys building management). I also have a list of names and numbers of people I have talked to. I also have the numbers of the tourist vehicles blocking the road”, says a vexed Krishnan. “I have great respect for Infosys as a firm but am disappointed with their handling of this problem”, he adds. Citizen Matters spoke to Thiagarajan S, Facilities Manager for Infosys, based at the software giant’s Electronics City campus. Thiagarajan was aware of earlier complaints made by Krishnan and says he has now requested the transport department to monitor the road for one week. He acknowledges that the Infosys building is in a residential area. “We are prepared to meet Mr Shivaprasad and address the matter”, he says. 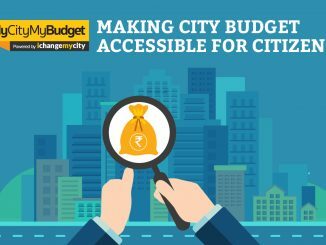 When the budget is presented in BBMP, it is for all 198 wards, so a citizen is unable to figure out what exactly does the budget mean to his ward. Bengaluru-based NGO Janaagraha has compiled the latest available budget, which will be released in public domain soon. Hazare and his band of reformers are coming into Bangalore on May 27-28. A live talk show on television and a major rally at National College grounds, Basavanagudi are planned. 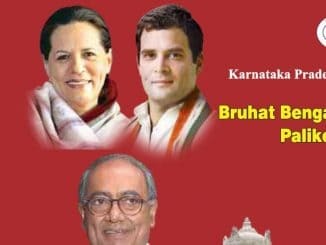 Elevated east-west and north-south corridor and property tax board are among the prominent promises of Congress party. Since I live in the same building, I am very keen that this problem is resolved; our protests so far have been in vain, and it is very irritating to see the van drivers behaving arrogantly, too.